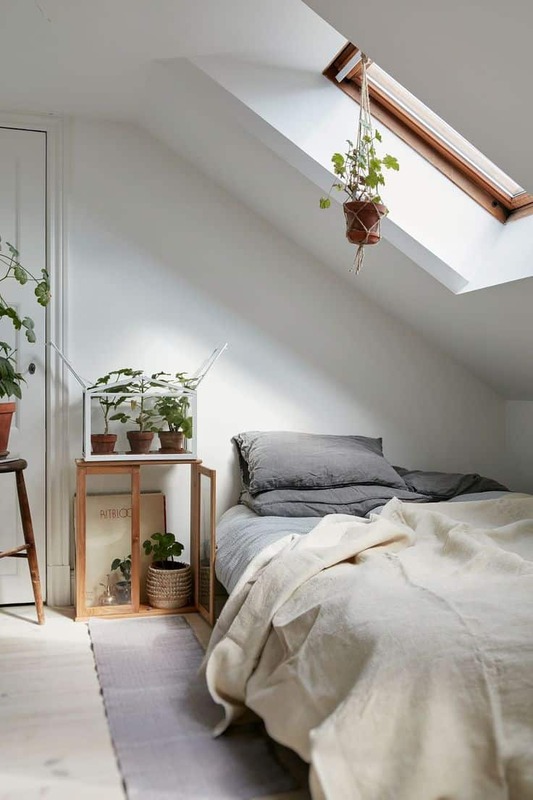 Check out this cozy nook that we stumbled upon over on Pinterest! It’s simple and full of neutrals that make it a more welcoming and relaxing place to enjoy. 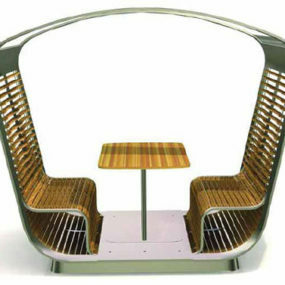 It’s a great spot to use for a guest or one of the older kids of the house. Daily Dream Decor showcased this beautiful area as well. 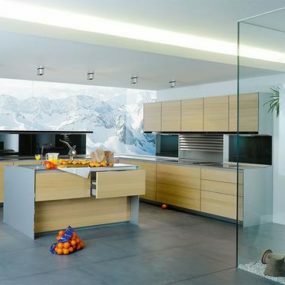 Hidden up in the top of the house is this breathtaking, white space. 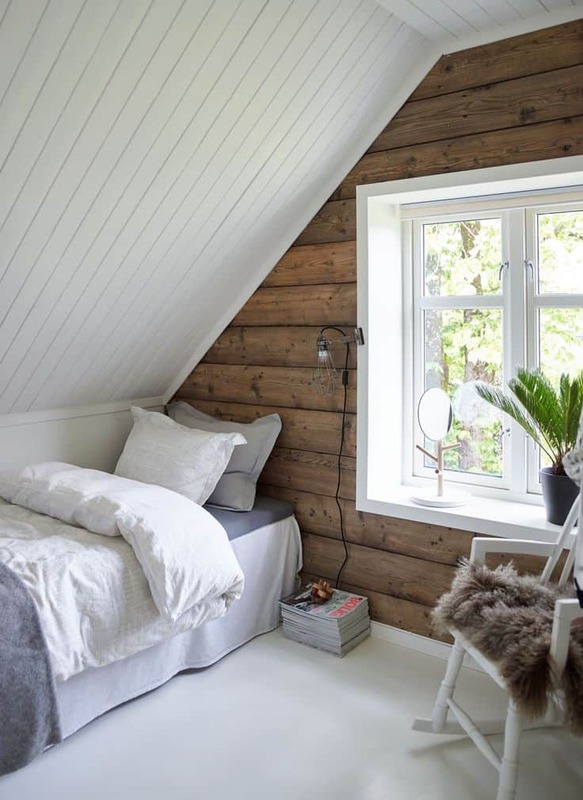 Filled with vintage nods and a lot of cozy texture, we’ve loving how airy and light this bedroom is. 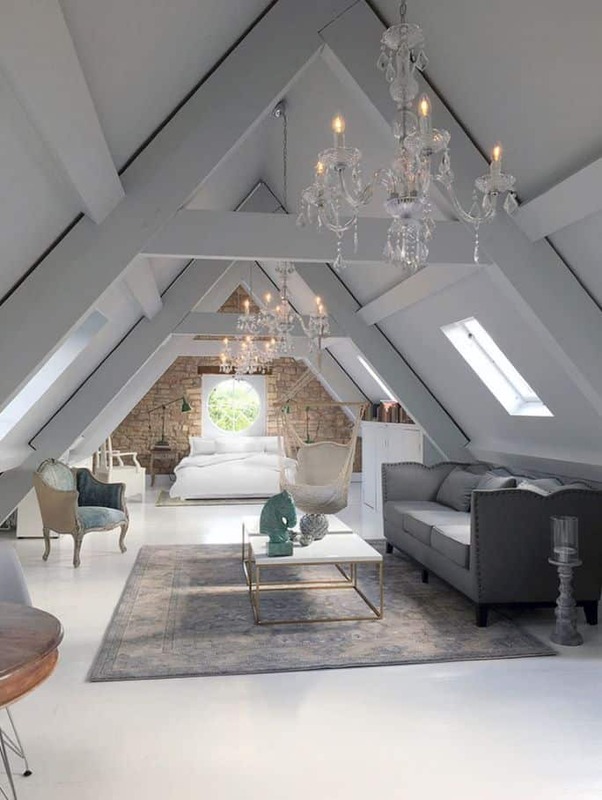 If you’re lucky enough to work with an attic space that has a lot more square footage, check out this revamp from Freshome! 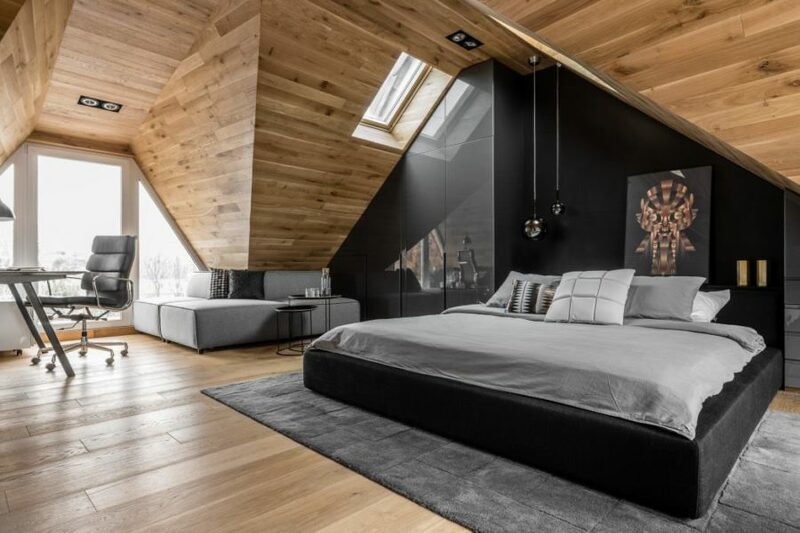 It’s got an edgy, masculine style and the woodwork is incredible. Paired with the black, it’s a contrast that both soothes and stands bold. Again, if you have a lot of space to work with you can divide up the area. Have a sitting area accompany the bedroom portion. You’re older daughter would love this, especially when she has friends over. Or, your guests would get a kick out of it too. You can thank Pinterest for this find. Home Stratosphere made room in the attic for three beds! And there’s a bathroom to be enjoyed as well. This is wonderful for big families or those that entertain a lot. Just think of the sleepovers and the fun to be had in this “hidden” space of the house. 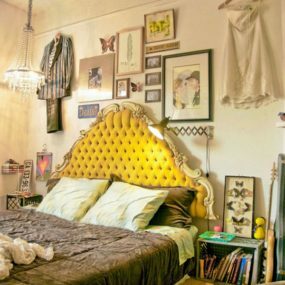 If you’re looking for more of a bohemian influence, then check out this space brought to us by Pinterest. 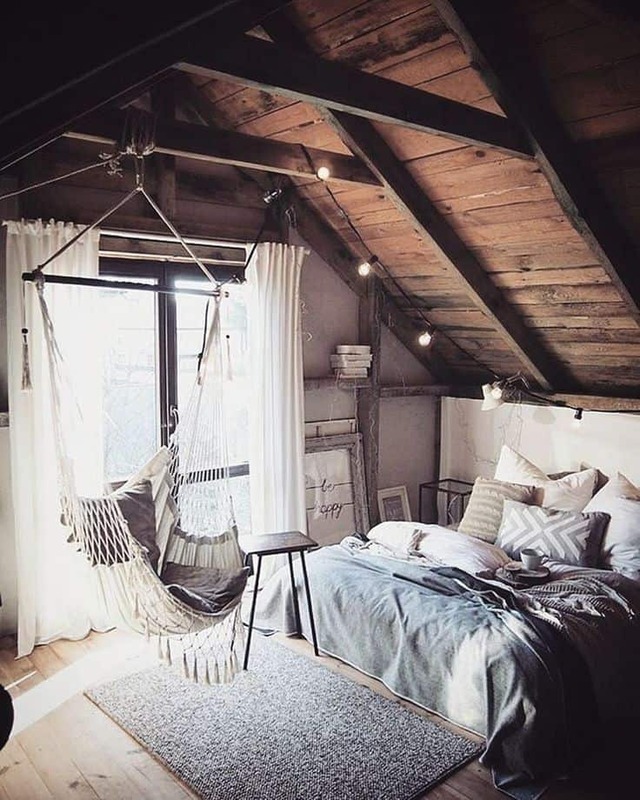 Filled with comfortable layers and even a macrame hanging chair, there’s a lot of space to personalize when going with a carefree vision like this. Think about adding a lot of fabric and billowing looks. 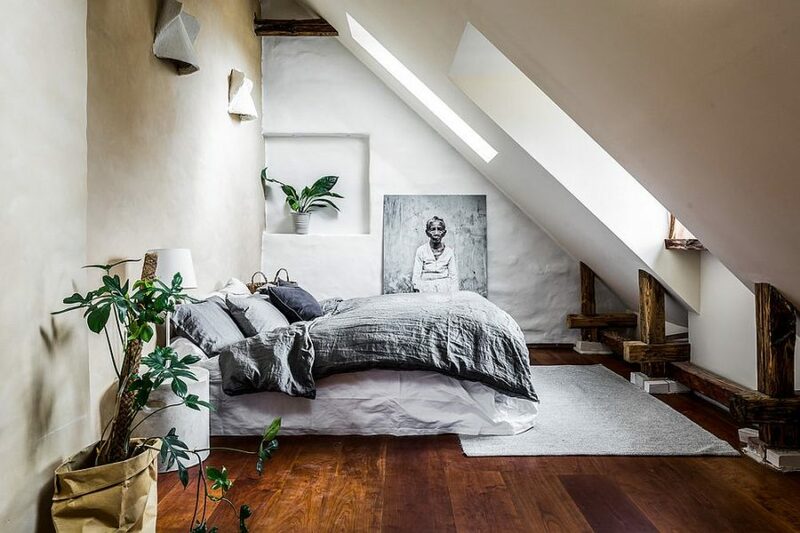 Home Lovr decided on a more nature-inspired, minimalistic approach to their attic bedroom. And we’re loving every bit of its freshness and modern appeal. Instead of going up to the attic and being greeted by darkness, create a space that’s a lot more inspiring for its users. 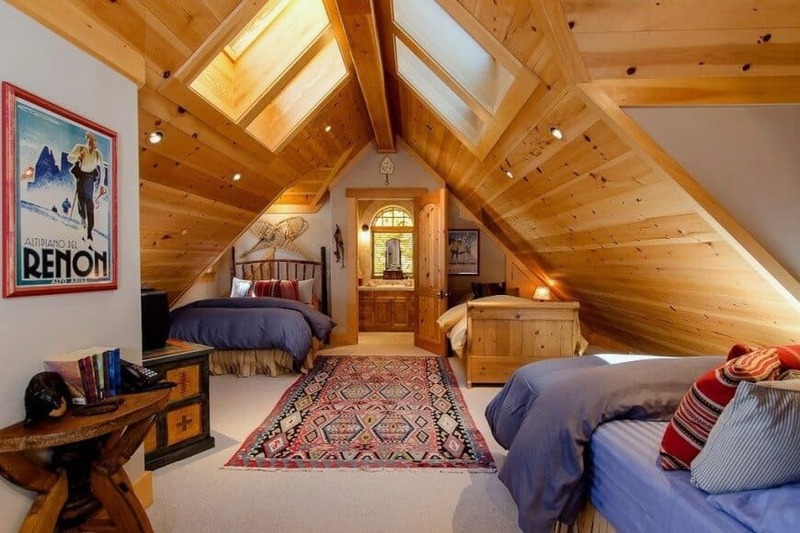 At first glance, you wouldn’t even suspect this bedroom to be found up in this attic. It’s got a very zen, spa-like style and we’re loving its simplicity. Check out more like this by stopping over at Rile. 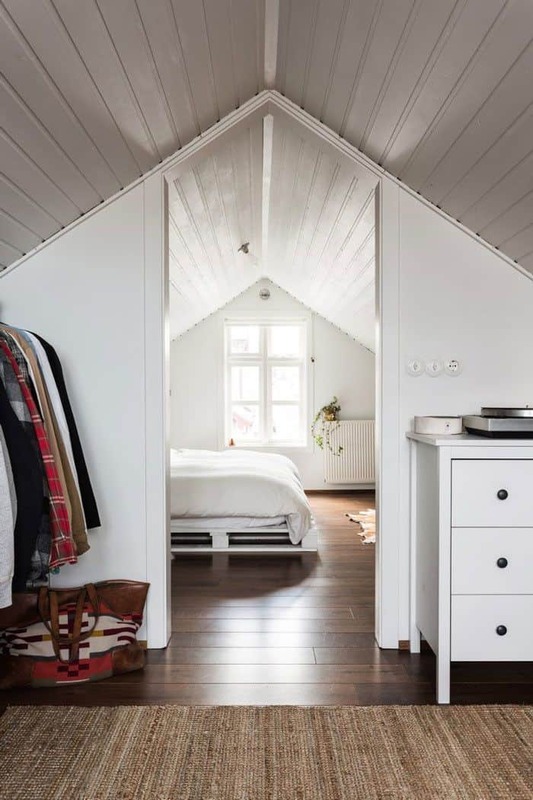 If you have the ability to divide up the attic and create “rooms,” you should go for it! 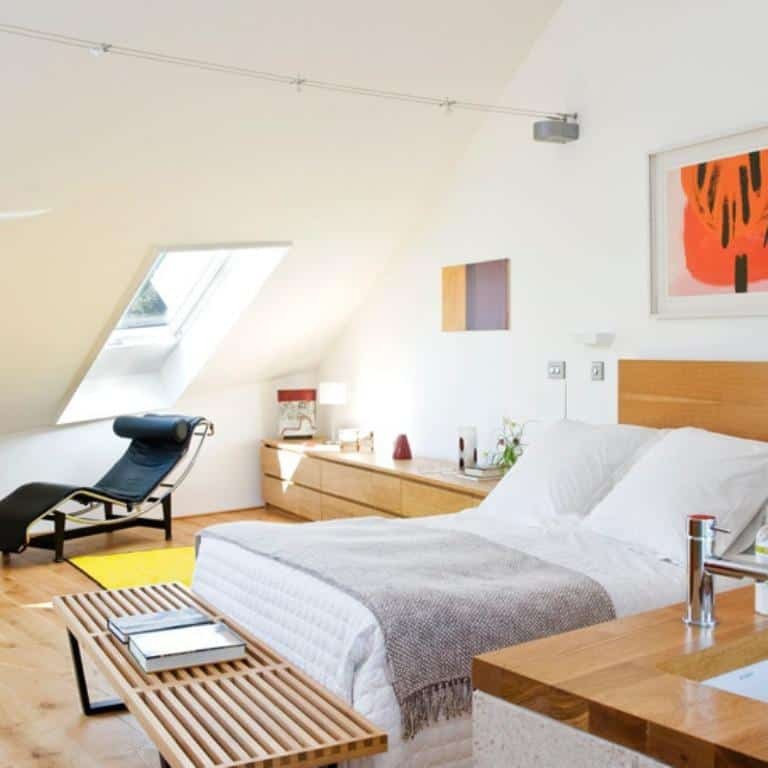 Just check out this peek brought to us by Residence Magazine. It’s simple, it’s clean, and you can easily personalize it for any guest that chooses to take up shop. Another simple space that you can gather inspiration from. 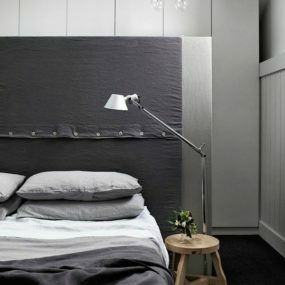 A low, platform bed, some dressers from Ikea and accent chairs make this a great spot to relax and refresh in. There’s even a television for extra bouts of entertainment. Thanks for the idea Freshmen! 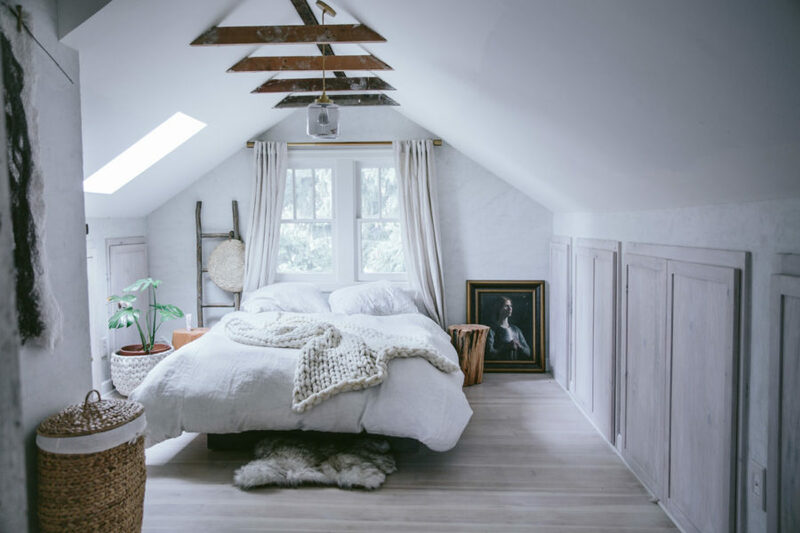 This beautiful room from Shelterness is giving us definite cottage vibes with a bout of bohemian as well. 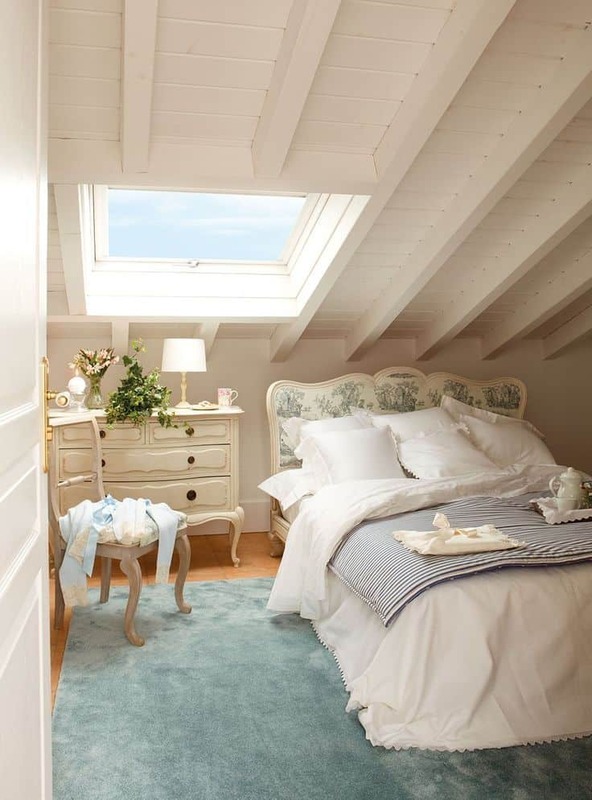 It’s soft, it’s crisp, and is such a refreshing way to style an attic bedroom. You can even add a pop of colors to pay homage to the season. 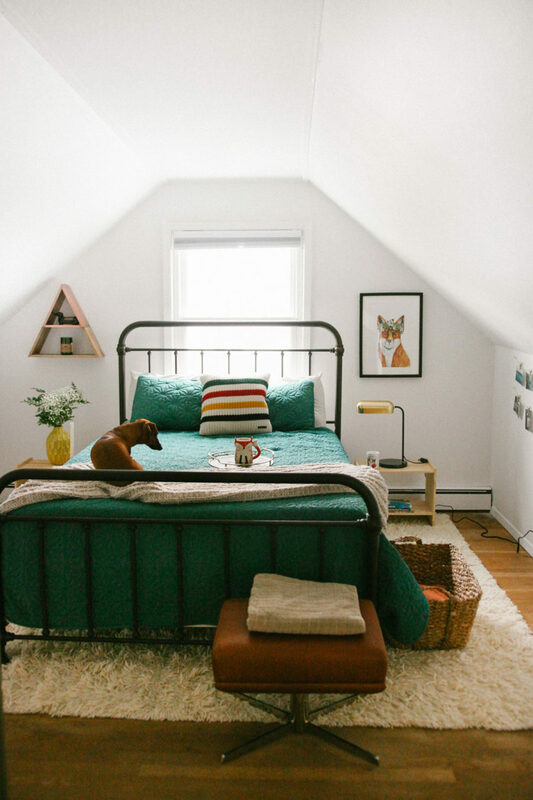 West Elm had this vintage-inspired space up for grabs and we thought it’d be a great bout of inspiration for styling your attic bedroom. There’s a bit of mystery involved here and it’s giving up definite 1970’s vibes. We love the emerald green addition as well, it makes a beautiful compliment to the browns and creams. 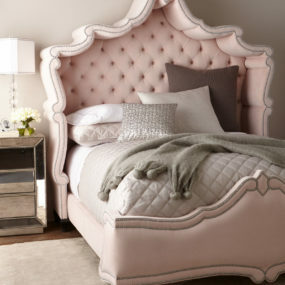 If you really love feminine appeal and some cottage inspiration, then check out this beauty we found on Pinterest. We love the scalloped, delicate edging of everything and the blue and cream combination is a stunner. Shelterness offered up this space complete with a white-washed brick wall and we fell in love. The golden pops mix well with the white and gray offering up a trendy finished product. That flooring seems to be a wonderful diy idea too. 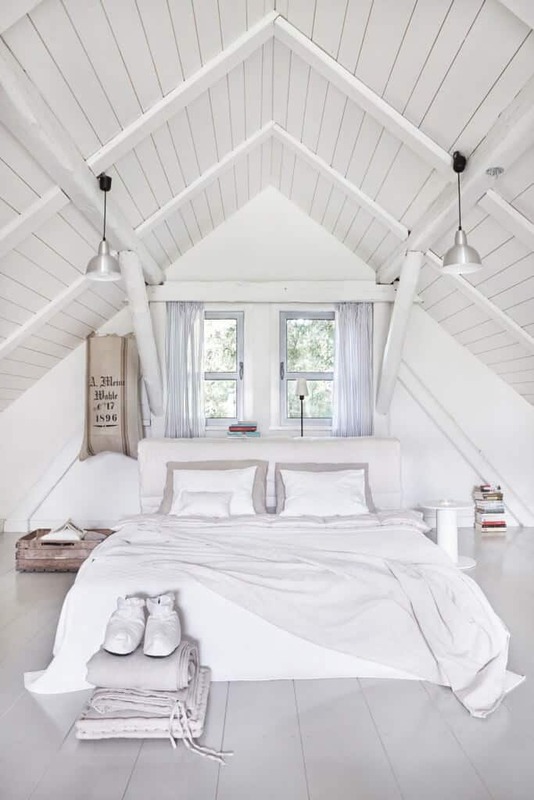 And finally, our friends at Decoist featured this gorgeous room and we instantly fell in love. The dark wood and exposed beams do really well with the pops of green and gray against the natural lighting. 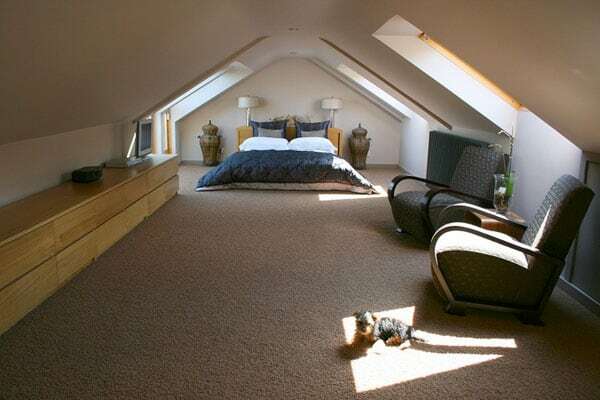 Your guests will love enjoying this attic redesign.